Dear Beverly,” Mytria responded by writing in the journal. There are actually few humans who can take the leap of communicating with us in this fashion. To do something alone without the support of others to validate your experience is not something that many people are brave enough to do. However, you have felt alone inside yourself your entire life. You have always kept secrets from others because you had learned that it was not safe to share what you knew inside yourself. Now you are getting strong enough to begin to share your knowledge. However, there is a certain amount of preparation of yourself that must take place before you can go ‘public’ with your information. When you are ready to be totally open with what you know, you will find others who are doing the same thing. We Pleidians are communicating with quite a few people. However, it will be a while yet before you can speak with each other through your Internet. People still need a certain amount of proof to validate their experiences. Do not be concerned. We are here with you. To her surprise, Lisa continued reading. There was something about this Mytria person that felt, well, it felt familiar. However, she could not tell anyone that. They would think she was crazy. Lisa continued reading. In fact, she didn’t even get up to get more coffee. Dear Mytria, wrote Beverly. Do you have a message for me today? I am glad to see that you are coming to peace with your third and fourth dimensional experiences. Forgiveness of others and yourself is indeed the key, as forgiveness is the energy field that allows you to release that which has reached its completion. Your feelings of aloneness and competition are part of this process of transmutation. “Wait a minute. My dream! I remember my dream. I was standing all alone, but the Sun was shining through the fog and it felt so very good. NO Lisa NO! You are just sleep deprived. Don’t start believing this crap,” said Lisa to herself. However, she could not seem to get quite as angry as before. What was going on here? She needed to get home to her ‘normal’ life. But, she did not get up or leave. She stayed in her ‘homework chair’ in her mother’s house and continued to read. Feel the warmth of the Truth of Unity with ALL THAT IS, continued Mytria. Know that you are now at ONE with your divine self. You are the fingers on the hand that is connected to the heart, mind and spirit of the Creator. I, Mytria, am yourself on a higher vibration. I am one of your alternate realities, and I welcome your awareness into my world. My true relationship with you is a difficult concept for your third-dimensional mind to understand. Merely listen. I am you, but I am also more than you. However, you are also more than me. I am not better than you just because I vibrate at a higher frequency. It is just that from my higher perspective I am able to see all of you. On the other hand, you can only see portions of yourself from your dimension. Therefore, I can be of service to you. “From my perspective, I can see you in many third dimensional realities. I am particularly drawn to the lives in which you served the Goddess, as that was very harmonic with our purpose in this reality. I will be happy to assist you in your communication about the reawakening of the Goddess on your planet. However, returning to my vision of you, besides seeing your many third and fourth dimensional lives, I can see the lives in which you chose to incarnate on other planets and on higher vibrations. You have been able to feel close ties to certain planets such as Venus, Arcturus, Antares, Sirius, and here on Alcyone. I can see a fine nervous system of light that is growing each time you open yourself up to communications with these portions of yourself. There are actually other galactic incarnations beyond what I have mentioned, but you have concentrated on the ones to which you have the strongest attraction and clearest memory. Allow your memory to be awakened as you visualize your light filled nervous system. Feel yourself moving beyond time and space. Remember your other realities like you remembered what you ate for breakfast. Do you remember when you left Arcturus to begin your adventure of incarnation in the lower vibrations? First you went to Venus to experience this galaxy and prepare for your incarnations on Earth. When you heard ‘the call,’ you came to planet Earth and began your many third-dimensional incarnations. “Wait, does that say Lisa? That must be a typo,” scoffed Lisa. “Mom always had too many typing errors. Except that there aren’t that many now. I am sure I just imagined that.” However, Lisa did not go back to check the text. Did she want it to be for her? After each life of great spiritual attainment, Mytria continued, you were able to raise your vibration enough to incarnate on higher planes of reality. Many times you returned to Venus to rest and relax. From Venus you often returned to Arcturus. Remember these journeys, as that memory will further reinforce your light plexus. The memories of Venus and Arcturus are the strongest in your mind because they have the greatest love vibration. As you have already remembered, after each of your spiritual lives you were able to take on an alternate reality, which was actually from your past as well as your future. You will have to just accept that statement because it is very difficult for you to understand at this Earth moment. All of these extraterrestrial realities were created before your Earth lives, as well as created after them. That is all for ‘now.’ I will be pleased to communicate more. Remember to call to me before you go to sleep and then write your dreams as soon as you awaken. “Remember to remember your dreams,” kept swirling in Lisa’s mind. But, she pushed it away. Enough of this reading and lying around; maybe it was time to call the police? However, the next post from Mytria caught her eye, so she decided to read just a little bit more. “I had a dream last night of a familiar format that I have come to call ‘Temple Dreams.’ In these dreams I perceive myself as flying up into a cloudy, etheric area. At first I can only see what looks like fog, but then I seem to alter my course and slowly fly down into another cloudy area, which glistens with a sparkling light. Gradually, I adapt to a vision in which I am with a group of people. We are sitting under a huge dome that is held with huge pillars. We all sit quietly while we listen to a magnificent being that is much like my childhood cloud friend. However, the cloud being does not always have the same feel to me, so I think that different higher beings speak at different times. “Just a minute here,” Lisa says with surprise. “I think I had a dream like that! No, no, Lisa,” she says to herself. “Too much of this Journal. I am getting as crazy as my mother. There has been far too much isolation. I really do need to phone the police.” But, Lisa did not phone the police. She did not push away the journal, which she had done many times. She wanted to hear about this dream, so she continued reading. In the ‘dream’ there were three groups that were having some kind of competition,” Beverly wrote in the Journal. “Much to my surprise, I was the leader of one group and, even more shockingly, my ex-husband, David, was the leader of the other group. We were in an amphitheater and each group was to go around a large circle together within the time period of 28 seconds. A third group had already finished their race, but that is all I remember about that group. For some reason this dream felt important. Dear Mytria, can you assist me to understand what it meant? My dear Beverly, Mytria wrote, I am happy to assist you to understand your dream. The 28 seconds reduced to the number 10 in numerology, which further reduced to the number 1. Numerology is a part of your awareness, is it not? The number 1 represents a new beginning. The three groups are three waves of evolution. The first group did not complete the cycle within the time that they had allotted to them. Therefore, they had to return to their seats, or physical bodies. In other words, they did not finish their race. 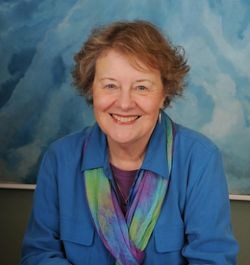 Everyone in the remaining two groups was very excited about their opportunity to ‘win the race,’ but the older, wiser members of your group knew that beginnings take much patience and calm awareness in order to bring them into full fruition. You also knew that the journey was not ending but instead just beginning. David, your ex-husband represented the male portion of your higher dimensional SELF, and you were in the form of myself, Mytria. Just as I, Mytria, am from the Pleiades, David is from the planet Antares and is actually called Jaqual. Now Lisa had had enough. The thought that her father, who she had not seen in ages was somehow joining a race with her mother, was too much to bear. Besides what is Antares? She was not ready to phone the police, yet, but when she read that part of the message she started to cry. Slamming the journal closed did not stop her crying. In fact, she cried harder and louder. She was alone and no one could hear her, so why not finally have a good cry? When she needed a tissue, the only ones she could remember were by her mother’s bed. She found her way there, walked to the nightstand to get the tissue, and began to cry almost hysterically. When she could cry no more, she lay on her mother’s bed, just like she loved to do when she was a child. Even though her mother had been gone for who knows how long, she could still smell her mother’s scent when she pulled back the bedspread to climb into the bed. The sobbing calmed, just as it always did when she went to her mother for comfort. “Now I will you tell what really happened last evening. You Beverly, who is a lower frequency of me, Mytria, and David, who is a lower frequency of Jaqual, were at a Federation meeting. Beverly/I and David/Jaqual talked about the ascension process of your planet and how the awakened ones of Earth could assist. “The first suggestion was to generate excitement in order to jar the sleeping ones into awareness. However, we decided that the excitement would prove to be too much of a distraction from the process of awakening, and we did not have the ‘time’ to risk that distraction. “The second race/idea was to have a mass landing of our ships. However, that idea was too soon, as humanity was still too brainwashed that ‘ETs were bad.’ We then decided that those who had been awake and aware for a portion of their Earth time would be good leaders if they could share their process. In fact, sharing their process would be a good role model for others. “Finally, we decided that we, the members of your galactic family, would need to bi-locate into the bodies of already incarnated humans who showed some ability to hold the three qualities of patience, love and courage. “The third idea was our best idea in which everyone could realize that ascension takes calm patience, unconditional love and great courage. However, there are not enough humans who possess and can maintain calm patience, unconditional love and great courage. Finally, we decided that we, the members of your galactic family, would need to bi-locate into the bodies of already incarnated humans who showed some ability to hold the three qualities of patience, love and courage. Bi-location means that we are still in our Galactic self and our multidimensional consciousness, but we also share our essence with a human who is willing to accept our presence. Therefore, I bi-located into you, Beverly, and Jaqual bi-located into your husband David. Too groggy to realize what she had done, she fell back asleep and slept until it was dark. She awoke with a start to find a completely dark house. She reached over to turn on the light and noticed the pad and pen. “Oh,” she said. “More weird stuff written by my mother.” She did not notice it was in her handwriting, as she urgently needed to go to the bathroom. She was alone in the middle of the night and felt a bit spooked, so went around the house turning on lights. She then went to the pantry and found some canned soup and an unopened package of crackers. While the soup warmed, she put a cup of water and the crackers on the small kitchen table. When the soup was ready, she poured it into a bowl and sat in a chair at the same table that had been there her entire life. After she had eaten her soup and crackers, she realized that she had chosen her favorite childhood bowl and cup and had sat on her “side” of the table. “No, NO, that is not my mother’s voice I just heard!” cried Lisa. But it sounded like her mother’s voice, and Lisa was beginning to realize how much she missed her. Leaving the dirty dishes on the table, she went back to the homework chair to continue reading. When she read the last three paragraphs she noticed that she had read it before. “I am not ready to read this now,” she said as she found the clicker for the TV and found an old movie to take her away. When the early morning light entered the living room, she awoke. All the lights were on in the house, so she began turning them off. When she got to her mother’s bedroom, she decided to make the bed and saw the notepad next to the light. “Hey, this is what I just read.” She did not note it was her handwriting until she finished making the bed and knocked the tablet onto the floor. When she picked it up, she was finally ready to see that it was her writing. She ran back to the book to see that the message she wrote was exactly the same as the message in the book that what written in 1996. Too shocked to think, she stuffed the tablet in her mother’s nightstand drawer. “Now I am starting to hallucinate. Too much reading of that journal, my body is stiff from sitting in that chair. I need to take a walk” she exclaimed. Lisa tried to walk away from the fact that she had written exactly what her mother had written long, long ago. She must have read those paragraphs before, she told herself. “But how could I get every word exactly correct?” she muttered as she began to jog. By the time she got back home (was she calling it home?) and taken a shower, she had forgotten the incident of the “three paragraphs.” She finally made some calls to her friend and husband, knowing they would go to voice mail at that time. Then she went to the grocery store to get some decent food. She fixed herself a good dinner and opened up another bottle of wine. Had she been drinking too much lately? She decided NOT to ask herself that question. When she opened the journal to read while she ate, she conveniently opened to the next chapter, in which she met Jaqual. She knew inside, but had consciously forgotten, that Mytria was her mother and Jaqual was her father. She could not bring her father into the picture yet, or she might completely snap. Therefore, she unconsciously decided to forget about her parents’ higher identity by scoffing at the entire idea of other realities. She was more than busy trying to find out how to get along in just one physical reality and didn’t seem to be doing too well at it. Hence, her parent’s relationship to Mytria and Jaqual was conveniently forgotten. Eager to Merge with GAIA? The Arcturians have stated that it is time to focus on personal and planetary merging and share that, "When person and planet become ONE, chakra by chakra, humanity and Gaia can join their efforts and work as ONE BEING to ascend Earth and all Her inhabitants into the fifth dimension and beyond." 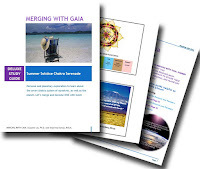 Begin your personal journey now with the new Merging with GAIA webinar series and comprehensive study guide, featuring over 700 pages of valuable chakra information, mantras, meditations, and webinars, as well as Volumes I & II of the Becoming ONE: People and Planet e-books! Wonderful, Sue, Beverly, Lisa and Myrtia, thank you! Love, A. Coming soon: PLEASE CLICK HERE FOR A GERMAN TRANSLATION.